Examine the following slide, illustrate the specified view, label the specified features. Note the function of each type of blood cell. Record the Vernier Scale addresses of each cell type. The plate numbers are in di Fiore’s Atlas of Normal Histology, 9th Ed. Histology of arteries and veins is at the bottom of this page. This slide has been stained with Wright’s stain, a complex stain containing eosin (a red stain) and methylene blue. They allow differential staining of various leukocytes. Illustrate in a single LARGE view: five or six erythrocytes and platelets, and then at least one each of each class of leukocyte. 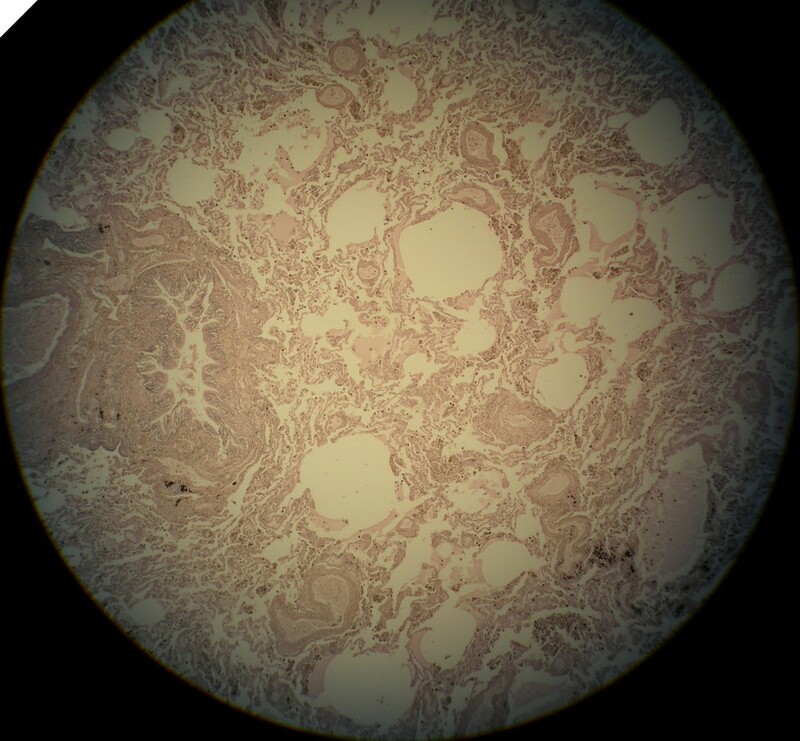 (Scan at 100x to find the rare leukocytes, then switch to 400x) Record the location of each cell type using the Vernier scale on the mechanical stage. Fill in addresses and copy in the form at bottom of page. Give function of each class (from text or lecture). numerous, pale cytoplasm, distinct multiple nuclear lobes also called polymorphonucleocytes = PMNs. 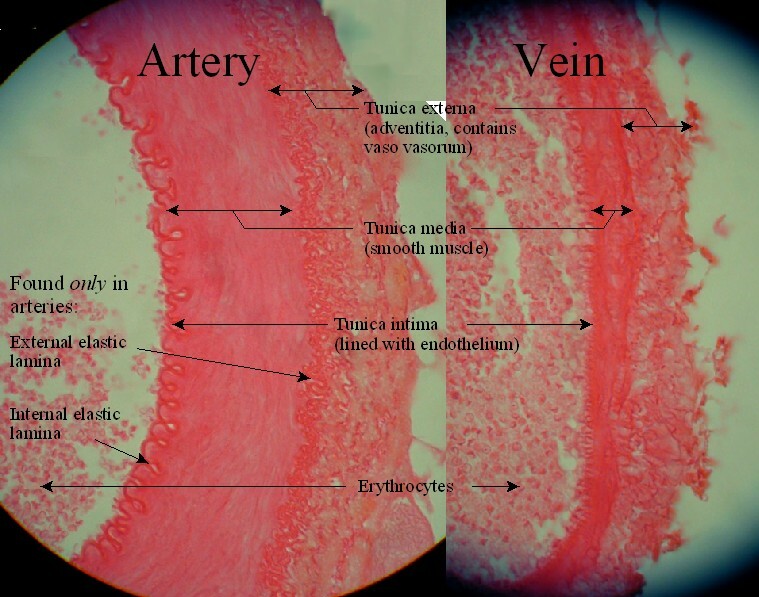 Here is a labeled view of an artery and a vein which contrasts their composition. You can also see adipose tissue and, in the upper right, two nerves. This is a 100x view of an artery. Note again its open lumen and thick wall. 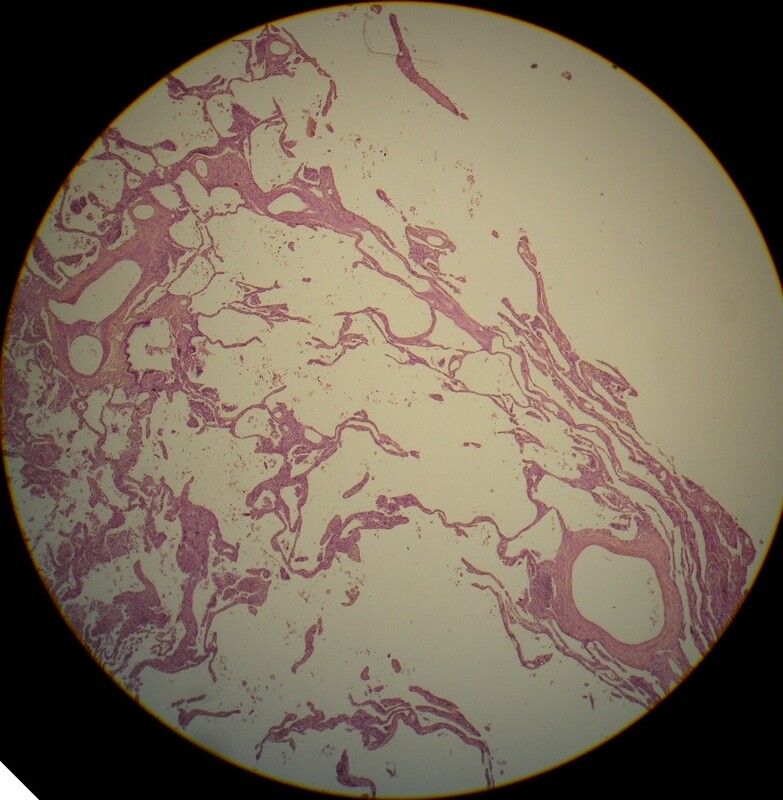 At 400x, the artery displays the internal elastic lamina, the thick tunica media, composed of smooth muscle, and the outermost adventitia or tunica externa. 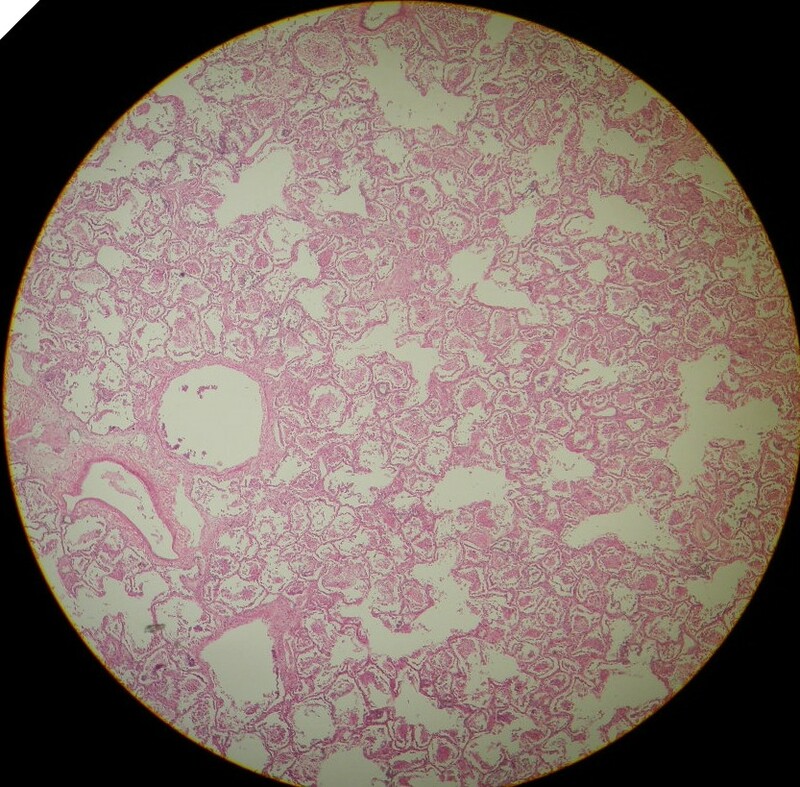 Red blood cells can be seen in the lumen. 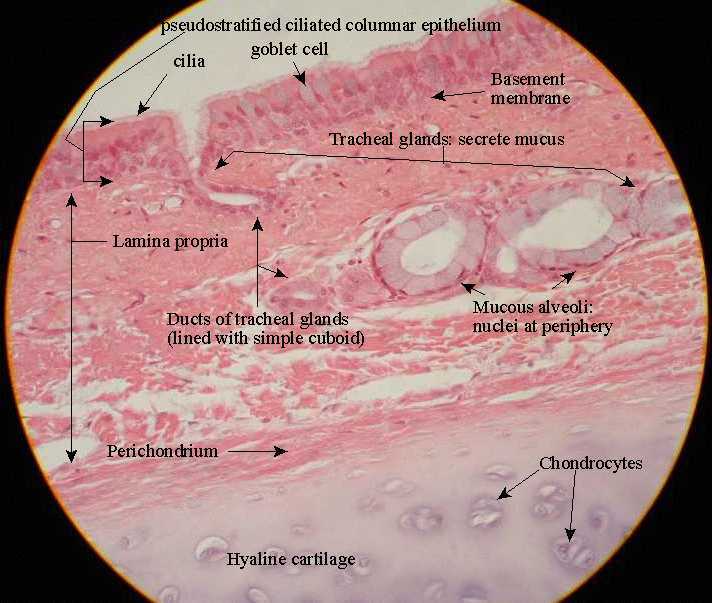 Here is a labeled view of tracheal histology. bronchus: VE: p. 247, at 40x: This overview shows the bronchus embedded in a field of aveoli. 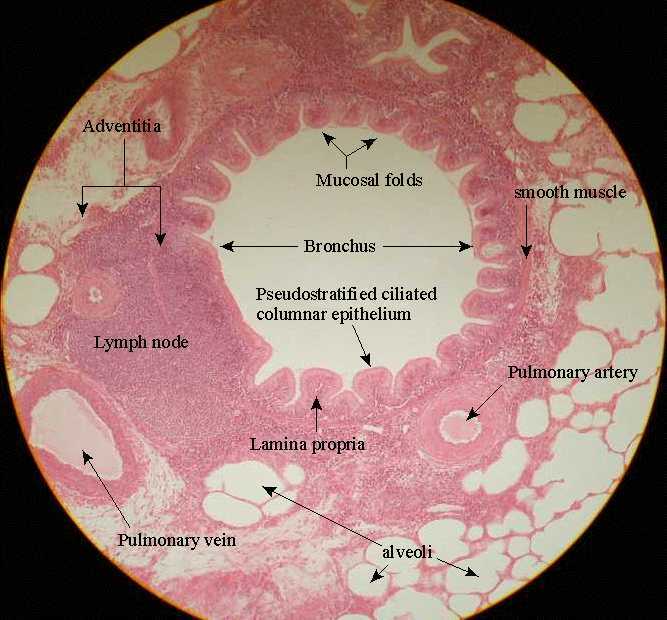 Here is a labeled view of a bronchus. Addtional images with other magnifications of the specimens. Look carefully and you can see erythrocytes in the lower right of the alveolus. 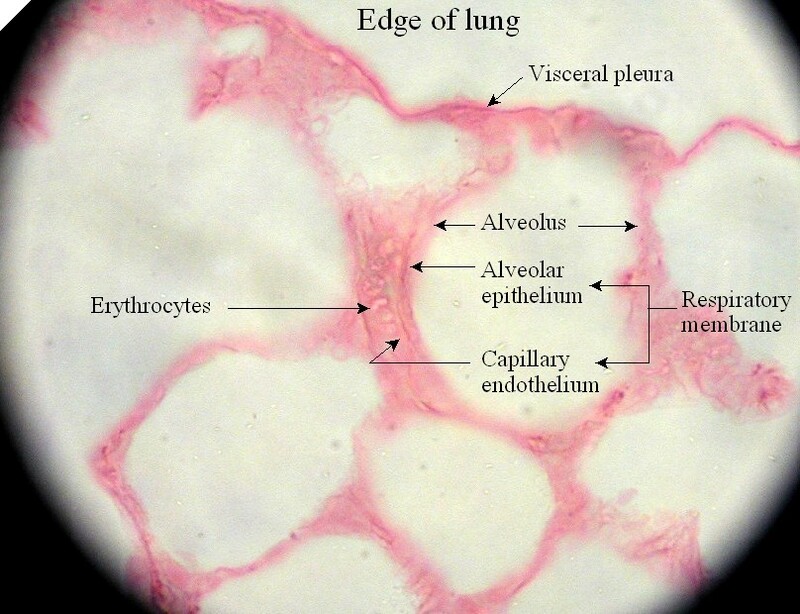 Here is a labeled view of the edge of the lung.